Forty (40) teachers from pre-primary to secondary levels within the public and private schools have come together with the support of The Ministry of Education and Culture and Department of Disaster Management to participate in Campus Emergency Response Training (Campus CERT). The training targets teachers and school administrators to support and enhance their existing capabilities in order to increase the preparedness and resilience of the on-campus community. Permanent Secretary in the Ministry of Education and Culture, Dr. Marcia Potter explained the purpose for having teachers trained in this area. She also added that the Campus CERT training would allow the development of skills among teachers to promote and maintain school-wide safety and minimise the effects of emergencies and other dangerous situations. The Campus CERT Training is being delivered over a three-day period from November 5 to 7. 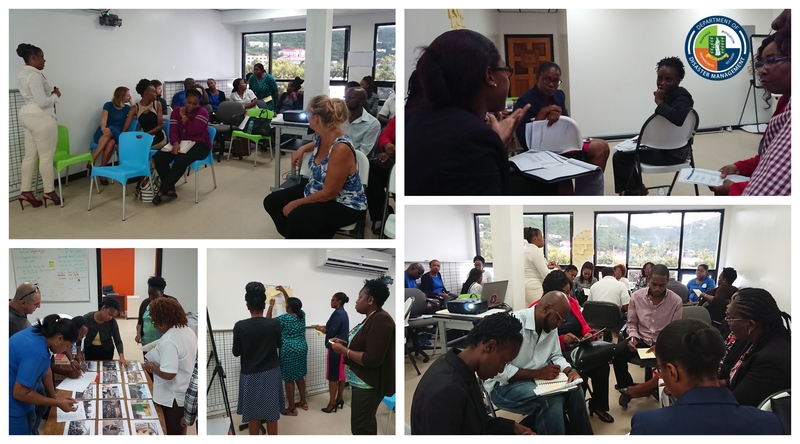 Deputy Director and Course Facilitator at the DDM, Dr. Evangeline Inniss-Springer described the content of the course and how it will benefit the teachers. The Campus CERT Training is being funded by United Nations International Children's Emergency Fund (UNICEF) through the local Adventist Development and Relief Agency (ADRA). At the end of the course, teachers who successfully complete the training will be provided with a kit that will allow them to have the necessary resources on hand to assist them in applying the skills they have developed through the training. The training fulfills a key requirement in the SMART Schools certification programme being administered by the Ministry and the DDM.